beYoga - be Healthy, be Happy | A leading & professional supplier for yoga mats & yoga products in Taiwan. A leading & professional supplier for yoga mats & yoga products in Taiwan. Made from the highest quality materials on the planet, manufactured emissions-free and with no harmful plasticizers. All Mats: Free of toxic chemicals, dyes and phthalates, which disrupt your hormone balance. Sustainable solutions to sweat. Versatile, durable and strong enough to survive countless uses and washes. Made from sustainable cork or 50% post-consumer recycled EVA foam. Made with either 100% natural unbleached cotton or 100% recycled spun polyester. Strong and Durable, Eco-Friendly and PVC Free, Recyclable, Lightweight and portable. The hammocks are made of a weight-tested, specialty nylon that is soft to the touch and has a slight shine. It’s made of sturdy yet flexible plastic that, when properly inflated, tied for the most-supportive seat among all the models we tested, and its plug provided the tightest seal. From the fibers of our being to the fibers of our apparel, a curated collection of sustainably-sourced clothing which serves our practice for as long as possible. Loads of modern technologies, high service standards and quality controls. beYoga is a professional large-scale manufacturer of all types of yoga product, integrated marketing、technology research, manufacturing and after sale service. After more than 10 years hard working, now we have three main business fields: TPE yoga mats, Cork yoga mats, rubber yoga mats, EVA yoga block and Cork yoga block and Eva packaging liner. 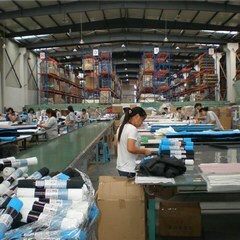 We have more than 300 staffs and covering over 3000 square meters area as office and production site. Through the efforts of our people, we have become one of the top manufacturer and one-station supplier of yoga products. All our products are eco friendly and with RoHS and Reach approval. We export high quality products for long time guaranteed by sophisticated fabricating machine and advanced technology, and own an annual output as $6 million dollars. Through our “Community Partners” program we also try to help out many very special people and organizations trying to bring yoga to those who might benefit from it, but might not otherwise have a chance to try - from schools to prisons and from hospitals to shelters. BeYoga encourages everyone to think about what more they might do. BeYoga - be Heathy, be Happy! We want to do more - help more, live more, be more active. But the idea that we have to be perfect at everything we do sometimes holds us back. So we at beYoga try to embrace every part of our perfectly imperfect selves - especially when it comes to yoga. That’s why we make yoga, fitness and wellness products for you, just as you are - from the beginner in you to the expert in you. The real you. BeYoga, is a fusion of "be" and "Yoga.” It means to encapsulate a sense of the beautiful interconnectivity of all things in Yoga. At beYoga, we believe that by nurturing, protecting and respecting the Earth and everyone and everything that exists here, we enrich our own lives and those of future generations - the goals to be Heathy, be Happy. Our mission is to use our standing as a leading lifestyle brand to make Yoga and Wellness accessible to all, as our slogan: beYoga - be Healthy, be Happy. 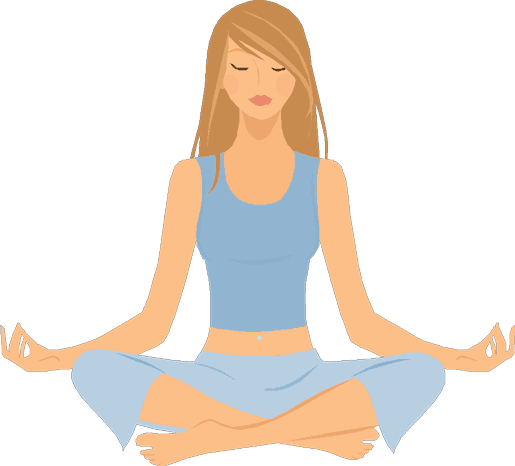 BeYoga brands include beYoga for yoga mats and all yoga products. We have a distribution network that consists of about 18,000 retail doors, 6,000 stores within stores, 3,600 category management locations and e-commerce all over the world. Whether you're looking to practice, enhance yoga performance, improve recovery or shed unwanted body fat, we have a great range of products to help take your yoga training to new heights. Our selection of yoga products provide the ultimate selection of mats, blocks, wheels, straps, hammock, balls... to ensure you have the right ones you need to achieve your yoga goals.